Auchterarder residents love to get into the Christmas spirit with their annual Christmas light switch on and this year they are organising a Christmas parade. 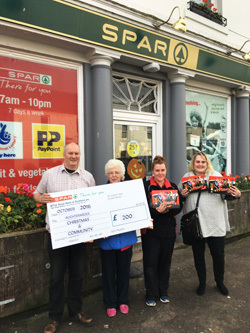 SPAR Auchterarder are delighted to get involved in the festivities and have kindly donated £200 towards the costs of the necessary licences to hold the street parade. 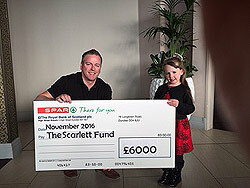 SPAR Scotland has generously donated a cheque for £6000 to The Scarlett Fund. 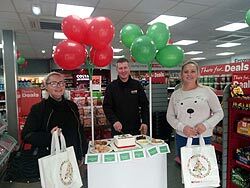 The SPAR store in Maybole has just celebrated their first anniversary. This store has gone from strength to strength this year and has recently won an award for Independent Retailer of the Year. 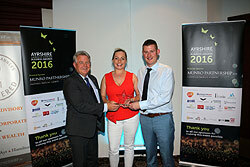 The 2016 Chamber of Commerce Ayrshire Business Awards were held at Seamill Hydro on Thursday 6th October with over 350 guests attending one of the highlights of the local business calendar. 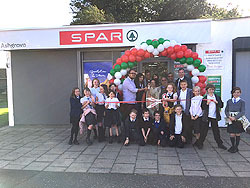 SPAR Ashgrove in Monifieth has now opened following a complete renovation, transforming the building into a brand new community SPAR store. 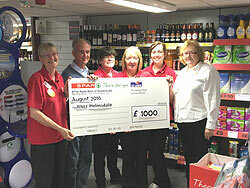 SPAR Luncarty has made a number of generous donations to local sporting groups within their local community. They were able to do this thanks to the all the money raised through the sales of their 5p carrier bags. 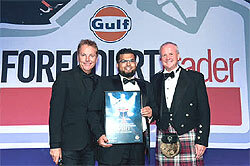 The Forecourt Trader Awards is a night dedicated to recognising and celebrating the success of the forecourt industry. This year it was held on the 15th of September on the Forecourt Traders 20th Birthday and had a record breaking attendance. 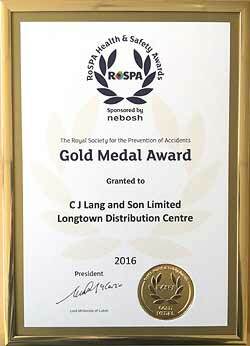 CJ Lang and Son Limited - Longtown Distribution Centre has won a Gold Medal award for achieving 6 consecutive Gold Awards in the prestigious RoSPA Occupational Health and Safety Awards. Great Strides a seven mile family walking event run by The Sick Kids Friends Foundation and sponsored by SPAR Scotland which took place on Sunday 4th September, in Edinburgh.